Clearwater Beach is home of pristine white sand beaches, clear gulf waters, warm sunshine. Visit to Disney World, a Zoo and Clear Water beach. 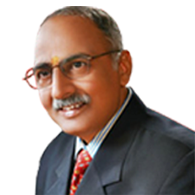 Complete set of videos of Vaastu workshop by Pandit Gopal Sharma. Inaugration of Book "Moksh Dham"
Inaugration of Book "Moksh Dham" By Sri Sri Ravi Shankar Ji. and Sh. P.D. Lakhani ji. Pt.Gopal Sharma after a talk in Hotel Golden Tulip, Jaipur in a Grand function organized by FICCI Ladies organization along with her Highness Princess Diya Kumari, CMD of Rajasthan Financial Corporation, Sh.Atul Garg, IAS with his wife & Chairperson, FLO, Smt.Indira Bagri and other dignitaries including Sh.Arun Sharma, Chairman & Isha Dutta, Director, Shivangi Group. The inauguration of Property Show (13 th to 15 th December 2007) At Airport Expo, Duabi. Panditji participated in the Exhibition and delivered a well attended presentation on the usefulness of Vaastu while deciding a property for the residence/ work place. Pt. Gopal Sharma at Nakshatra during convocation of AIFAS at Delhi with Dr. Sukhdev Chaturvedi(President Awardee) & Pt. Jai Prakash, Sh. Madhav Chandra of Prgya Channel.